How To Help A Child With Anxiety? Nine-year-old Kim is shy. She often misses her school and complains of abdominal pain on a school morning. She has skipped several field trips and excursions at school. She is a wreck the evening before a test. Kim also panics every time her dad, who is a marketing consultant, has to travel to a different city. She fears he’ll meet with an accident and will not make it back home. After diagnosis, Kim’s doctors confirmed that she has generalized anxiety disorder. Anxiety in children is not abnormal, but when it escalates to Kim’s levels, it is a concern. 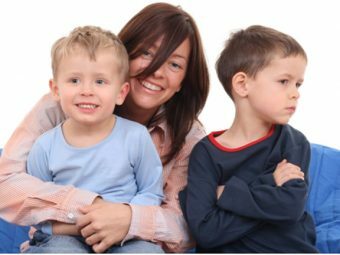 MomJunction tells you all that you should know about anxiety disorders in children, their causes, and treatment. In the end, we also have some activities that you can perform with your child to help him come out of the situation. Anxiety is an emotion, albeit uncomfortable and unpleasant. When a child who is about to take a big test or perform on stage feels anxious, it is normal. In fact, anxiety can be a healthy and positive emotion when it pushes people to be prepared for a situation, to handle it better. We all feel anxious from time to time, and we deal with it through our coping mechanism. Some of us like to listen to music while others sing. For example, the child may talk herself out of the fear, remember encouraging words of her parents and teachers or simply take long breaths to release the tension. But anxiety is a problem when your little boy refuses to let go of your hand and get into the school bus, meet new people or play outside with his friends. Anxiety disorders can alter the reality of the child, feeding their irrational fears and transforming minor issues into problems. Anxiety at normal levels is not dangerous. But if it disrupts the child’s life and yours, then it is a disorder that needs to be treated. The good news is that anxiety is treatable. But before knowing the treatment options, we need to understand the various kinds of anxiety disorders children can have. One in every eight children has anxiety issues. When we fail to deal with basic anxiety issues in children, they become disorders that can stay with them all the way through adolescence and adulthood; 25% of children aged between 13 and 18 have some anxiety disorder, while 5.9% have severe anxiety disorders (1). As a parent, you would want to do everything you can to help your overly anxious child. The first step would be to identify the type of anxiety disorder. Typically, children can suffer from any one of the anxiety disorders discussed below (2). If your child is almost always worrying about little things in life, chances are he or she has a general anxiety disorder (GAD). Anxiety becomes your child’s constant companion, making it difficult for them to lead a normal, happy life like the other kids. Today, over four million people in the US have GAD. For most people, the illness begins in childhood or adolescence. Also, girls tend to get affected more than boys. It is time for your little girl’s ballet performance. You have been waiting for this for months. Just as her name is called, she freezes, her heart starts beating fast, and she feels breathless. Your worst fear has come true: she just had a panic attack, again. A panic attack is a sudden feeling of overwhelming fear that causes a physical reaction like increased heartbeat, breathlessness, blanking out, etc. Children with this disorder usually live with the fear that they’ll have another attack, which can trigger yet another one. Separation anxiety disorder is a condition that a child experiences when he or she is separated from home or parent or a loved one. Young children are attached to their parents. So, it is normal to be a little anxious when they are separated from their family. Separation anxiety and being wary of new faces is common in children aged between eight and 14 months. But if an older child, say over five years, is uncomfortable leaving your side and gets anxious every time you have to go away to work, then it is a disorder. This kind of stress gives rise to an irrational fear that something bad will happen to them or the parent if they are separated. This creates a need to be near the person at all times. Usually, separation anxiety disorder results from a traumatic or stressful event that the child has gone through. Sometimes, children with overprotective parents and those with a history of the disorder in the family are at risk of getting it. If your child is anxious about going to a classmate’s birthday party, school party, family lunch or dinner and tries to avoid it, always, he may have social anxiety disorder. The initial fear of kids with this disorder is that they may end up making mistakes and embarrassing themselves. Sometimes, the fear becomes worse due to their lack of social skills. But most of the times, the fear itself leads to the child to make mistakes and worry more. In some cases, severe social anxiety in children can also result in a panic attack. You know how annoying it can be when your otherwise talkative child decides not to say a word when he meets someone important. It looks as if he has deliberately shut himself up to make your life difficult! Maybe not. Your child may have what is called selective mutism. Selective mutism is a condition when a child shuts herself up and does not talk in certain situations. Usually, children with this disorder are unable to communicate in any way during social interactions or events. Typically, children with social phobia or anxiety are the ones who also have selective mutism (3). Children are scared of the dark. Some are afraid of clowns, some of the spiders, and others of closed spaces. In most cases, these fears disappear as the child grows up. In some cases, they don’t. They turn into phobias or irrational fears. Selective phobias are not uncommon. They can keep the child from enjoying a healthy life. The triggers for selective phobias can be different for different children. For instance, one child may have a fear of spiders, while another may be scared of heights. Children may develop a phobia due to genetic disposition or a traumatic incident. The environmental factors, the child’s age and his exposure to certain situations over and over again, can also create phobias. Stress is a natural reaction to a traumatic event. When a child experiences a scary or shocking incident, he develops a fear that the event will happen again. Most people come out of that fear and can live a normal life with a little help and support. But some kids experience the same emotions time and again. They have post-traumatic stress disorder (PTSD). Children with PTSD go through that experience over and over again in their mind, and have panic attacks when they believe that “it is happening all over again”. Washing their hands over and over again; locking and unlocking the door a specific number of times; cleaning the room repeatedly, rearranging the wardrobe more than twice in one hour. These are some of the things that kids with obsessive-compulsive disorder or OCD do. The OCD was once considered to be an anxiety disorder, but now it is seen as a different condition. Children with OCD have excessive thoughts about something, which compel them to act in a certain way. Their behavior stems from irrational thoughts or fears. The fearful thoughts create anxiety, which they believe will go away with a ritual-like behavior. Anxiety disorders are similar and usually interwoven with each other. But why should children go through such traumatic and life-changing experiences? While for some, the problem runs in the family, for others it is the result of their upbringing and the environment they are growing up in. 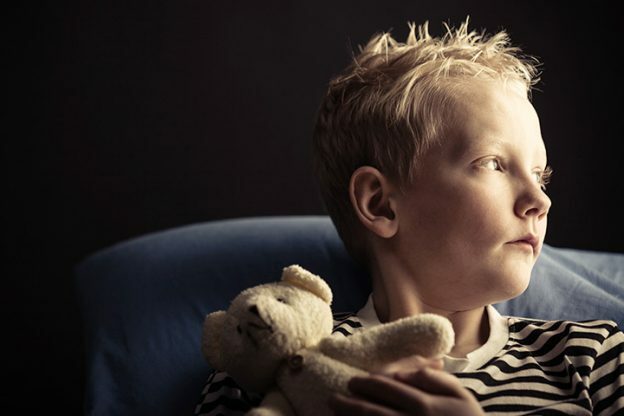 Continue reading to know what causes anxiety disorders in children. No research confirms that anxiety is hereditary. However, children may be vulnerable to anxiety disorders if their parents or anyone else in the family have had them. However, it is not necessary that your child becomes anxious because you or your parents were. Genetics alone does not determine if your child is going to develop an anxiety disorder. The environment (4) in which they grow up, the people they are surrounded by and the attitudes or values they are exposed to every day, play a critical role. So, if the child goes through highly stressful events every day because of conflicts in the family, between parents or siblings, they are vulnerable to developing an anxiety disorder. Witnessed a crime or a violent event. Experienced a tragedy in the family, like death or separation of parents. Been through drastic changes in lifestyles due to financial loss, etc. In rare cases, anxiety could be triggered by the growth of a tumor that initiates the flight or fight response. Certain anxiety disorders like panic attacks could be a result of the way the brain functions. Changes in the brain’s chemicals can also affect how a person feels. The chemistry of the brain can change due to genetics or when exposed to harmful chemicals that can trigger certain feelings and emotions in the person. More often than not, anxiety in children is the result of more than one of the causes mentioned above. So, when a child from a family with a history of anxiety disorders, witnesses a traumatic incident, she has a higher chance of developing an anxiety problem than others who have no family history of mental illnesses. The symptoms, too, are common for more than one disorder. When a child becomes anxious about something, he may display a distinct set of behaviors. Watch out for these physical symptoms and signs to know if your child is anxious. Worrying too much about everything. Difficulty falling asleep or staying asleep as they tend to think and worry all night about a negative incident. Change in eating habits and appetite. Unreasonable fear of someone or something. Clingy and refusing to part with the caregiver. Finding ways to avoid situations, things or people that trigger anxiety. Irrational fears of impending doom, which is often the trigger for panic attacks. Few friends outside of the family, lack of social life. Worrying about something before it has happened. Repetitive actions or thoughts, in the case of compulsive disorders. Children with anxiety may not know why they are feeling the way they do. They may feel helpless and scared as well. But as a parent, you need to be alert and identify the signs and symptoms of anxiety in children. If you think the situation is going out of hands, seek professional help. A psychological evaluation, which involves a series of interviews between the therapist and the child, to understand the thought process. A physical exam may be recommended to check for any underlying symptoms that indicate the presence of an illness triggering the anxiety. Older kids and adults may be asked to take the 20-question Jung self-rating anxiety scale, which will let the evaluator know how often the child feels nervous, anxiety, shakiness, and rapid heartbeat. The test will also include questions about nightmares. Based on the evaluation, the doctor may refer the child to a psychologist or psychiatrist. Anxiety disorders are usually the result of irrational thoughts that the child believes to be true. So the emotion is triggered by a thought or a belief that the child holds. CBT is an excellent treatment option in that case. A form of psychotherapy or talk therapy, CBT focuses on changing the beliefs and thoughts and teaching new skills that help the person deal with anxiety. By addressing the negative thought and behavior patterns that are affecting the child’s life, CBT slowly and eventually eliminates the unreasonable fears or stressor that trigger the anxiety. Here is an example to understand it better. Child’s negative thought: I will say something wrong, and they’ll think I’m crazy. Realistic thought: They might just think that I’m nervous, which is not bad. The therapy will not be limited to the sessions with the therapist. 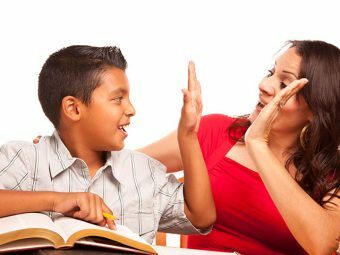 Your child will also have to implement what she has learned in therapy at home and school. Your child will be making significant changes to how she thinks and behaves during the therapy, and it will not be easy without your support. It is up to you to encourage the child to replace the negative patterns with productive ones. Acceptance and commitment therapy or ACT, which focuses on letting go of the struggle to control or manage anxiety-triggering thoughts and feelings. Instead of trying to control or change the thoughts, the child is taught to acknowledge the presence of negative thoughts and accept them through mindfulness (focusing on the present moment). Once the child recognizes the negative thoughts, he can concentrate on changing them. Dialectical behavior therapy or DBT is a form of cognitive behavior therapy, which focuses on changing the thoughts, actions, and emotions of the patient. The treatment attempts to break the strong misconceptions the child nurtures. DBT also helps the child build on his strengths and capabilities, thus boosting his self-confidence (5). Some doctors may recommend intake of herbal supplement, Kava, which is a plant found in South America. A child has to take medicines in cases where anxiety is caused due to change in the brain’s chemistry. When there is a change in some hormones that the brain releases, the doctor may even prescribe anti-depressants. Typically, doctors may prescribe serotonin-specific reuptake inhibitors (SSRIs) or anti-anxiety medication such as Prozac for children with anxiety. In fact, Prozac is the only SSRI that the FDA has approved for children aged eight years and above (6). If anxiety is the result of an underlying illness, the focus would be on treating the disease with medication and anxiety issues through psychotherapy. That said, there is no one-size-fits-all treatment for anxiety disorders in children. The kind of treatment they might respond to depends on the type of disorder and its severity. Irrespective of the treatment — therapy or medication — your child’s recovery totally depends on your support and efforts. You need to help him come out the situation (7). As a parent, these are a few things you can do or say to make anxiety management easier for kids. Be empathetic. Listen to the child’s feelings and respect them. The idea is to help them deal with the feelings and manage anxiety. Do not encourage or amplify the distressing feelings. Stay calm when your child gets anxious about something. Learn about relaxation techniques and help him use them during an anxiety attack. Encourage them to talk about their feelings, ask questions and express their fears. Listen to them without judging and let them know that they can always talk about their emotions. Do not criticize them for their mistakes, as this might aggravate their anxiety. Try and maintain a routine. 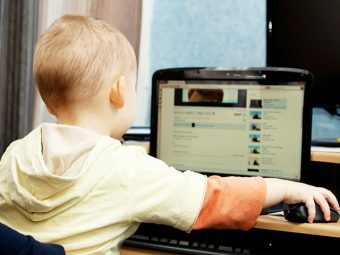 Changes in their daily schedules might disturb them and trigger anxiety attacks in children. Be flexible and lower your expectations during stressful times like when they have to attend a test, competition or an event. Recognize and appreciate small achievements. For example, if your otherwise shy child has gone out on a play date with a classmate without getting anxious about it, you must appreciate her efforts. Do not ask leading questions or talk about things that can trigger an attack. If they witness a negative event or incident, the chances are that they might start worrying about the future. Reassure them that it will be okay and that they are safe. 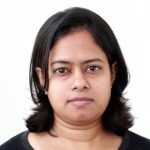 Anxiety management techniques for children should be simple. Remember that the idea here is to make it easy for the child. And what can be a better way than play to help the child relax? We have listed down some activities that you can indulge your anxious child at home or school. Relaxed breathing can help children calm down faster. When we breathe deeply, our parasympathetic nervous system or PNS is activated, allowing us to bring our body to a resting state quickly. But teaching a child to breathe can be difficult, especially when they are anxious. So, the simplest way to teach them to breathe is through blowing bubbles. They breathe in and out as they blow the bubbles into the air. Also, the sight of smooth and silky bubbles can have a calming effect on the child. Make a jar of soap water and get a pipe or a straw that can be used to create bubbles. Demonstrate how they can create big bubbles, by focusing on their breath. Let them try it on their own and encourage them every time they do it. The Worry Tin or Worry Can activity is designed to let the child express his worries out loud, and put them away too. Here is what you need to do for this activity. Take a glass jar or an aluminum tin can with a lid. Keep a set of papers and a pen handy, near the jar. Every time the child gets anxious about something, ask them to write down what is worrying them and put it in the tin. Another variation of this activity is to maintain a journal. What makes your child anxious? What calms them down? You need to know answers to these two questions. Sit with your kid and create a calm-down box that contains all the things that calm them down. Every time they become anxious about something, the things in the box can help them calm down. Take a box and fill it with things that the child likes. For example, you can include your kid’s favorite toy, book or video. You can also include stress balls, snow globes and other things used to relax the mind. Painting can be therapeutic. One way to use this art form to deal with anxiety in children is to paint stones in different colors. Collect smooth, rounded stones and keep them in a box. Call them the calming stones. When the child gets anxious, ask them to pick a calming stone and paint it. Use acrylic colors that can be washed off later if they want to repaint them in a different color. Mind jars can have a soothing effect on our minds. And they are easy to make too! You will need a transparent water bottle, hot glue, glitter and food coloring. Fill half the bottle with water and add a drop or two of food color. Add some glitter to the water. In another jar, combine hair gel and water and mix well until the gel melts. Add the hair gel water to the bottle and use hot glue to seal the bottle with a cap. Whenever your child becomes anxious, just let him turn the bottle upside down and back up and leave it on the table. Teach him to watch the glitter move and settle down at the bottom, while breathing in and out slowly. Every time the child gets an anxiety attack, he feels that the situation is out of his control. But that is far from the truth. You can help your child understand that if they have survived an anxiety attack before, then they can survive it now too. All you need to do is make a video. Ask your child to tell himself what to do when he feels anxious and record what he says. They can even demonstrate relaxation techniques. They can provide tips to other kids who get anxious like them. When your child becomes anxious, just play the video and let them talk to themselves out of it. This is a fun activity. You will need a sheet of paper, pencils, glue and word or image cutouts. Draw two different outlines of the child’s face, facing one another. Name one the ‘worry brain’ and the other ‘happy brain’. Ask them to write what worries them, or stick words, phrases and images in the ‘worry brain’ section. In the happy brain, they add what makes them happy. This is a cool way to help children manage their anxiety. This also encourages them to find a logical explanation to determine whether or not they need to worry. Catch the worry: First, ask the child to catch the worries. Help them identify the thoughts that are making them worry. Get the evidence: The next step is to find evidence to check the validity of the thoughts. Make them ask questions to know where the worrying thoughts are coming from. Ask them what makes them think that way – an incident at school or home, something they saw on TV, etc. Challenge the thoughts: Based on the evidence, let them challenge the thoughts that cause anxiety. Anxiety worksheets can help the child express her feelings in a creative way. It also helps her maintain a record of anxiety management, which can serve as a reminder that they can beat anxiety. Anxiety Says, I Know: this worksheet has two columns called ‘Anxiety Says’ and ‘But I know.’ Under the first, list the worrying thoughts and the second, a logical thought that challenges the anxious thoughts. Anxiety Instructions: This worksheet can be used to help the child remember what he needs to do when he gets anxious. Writing makes it easier to recollect something. I Feel Worried When: Write a list of things that the child is worried about. Below that, ask him to draw his worried face. Medications and therapy will be only as successful as the child’s ability and his willingness to fight the condition. And to believe that they can beat their anxiety and lead a normal life, they need your support. Remember that your little ones needn’t have to suffer because of the disorders. They can be happy and live a worry-free life if only they get a little help from you. How do you help your child cope with anxiety? Share your insights about anxiety disorders with other parents here. 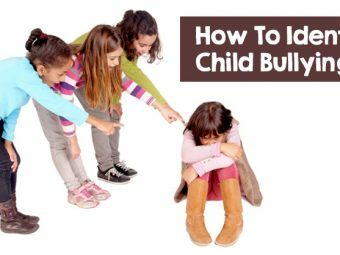 Child Bullying - Reasons, Signs And How To Deal With It?